Welcome to Maple Spring at Elmhurst, our continuous long term care neighborhood. Bustling with life and positive spirit, Maple Springs provides our residents with a supportive and comfortable atmosphere where they feel completely at home. Our highly trained nursing staff provides 24-hour care with emphasis on fostering our residents’ independence and enhancing their wellbeing by alleviating loneliness, helplessness and boredom. 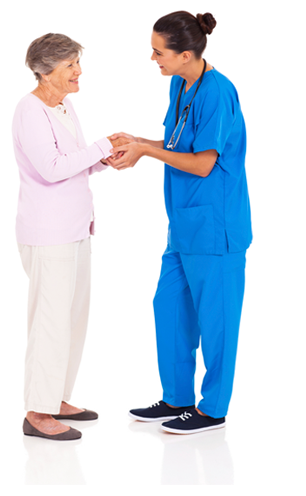 Our skilled nursing and medical care capabilities include a full range of on-site advanced clinical services including restorative therapy, pain management, wound care, IV therapy, respite and palliative care. Day-to-day living at Elmhurst is enriched by an array of recreation options that encourages individuality and quality of life. Residents love the freedom of choosing their own daily activities, whether tending to their gardens or simply enjoying the companionship of neighborhood pets.